Hands-on guidance to managing pediatric patients with neurologic disorders "...a comprehensive and timely reference of pediatric neurological problems for practitioners on the go. Particularly given the uneasiness many non-neurologists feel in dealing with these issues, this book can be a genuine help....this book is a very useful initial reference for general pediatric practitioners, adult neurologists, and neurology trainees. The many tables, illustrations, and pictures are a particular strength. It certainly is worthy of consideration as a reference for one's bookshelf. 3 Stars." 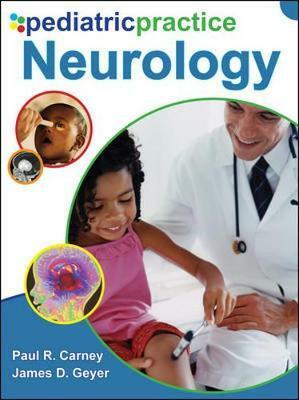 --Doody's Review Service Part of the Pediatric Practice series, Pediatric Practice: Neurology is filled with practical, clinically relevant guidance for neurologic diagnosis and treatment in children. The care of the patient forms the core of this resource, which also provides perspectives on epidemiology, pathophysiology, and diagnosis that every pediatrician, neurologist, and pediatric nurse needs to know. The book includes detailed, yet concise overviews of pediatric neurologic conditions, including seizures and epilepsy, paroxysmal disorders, headache, ataxia, ADHD and learning disorders, cerebral palsy, movement and balance disorders, neuropathies, neuroinfectious diseases, and much more. Additionally, proven diagnostic and management strategies are provided for immediate use in a clinical setting. Pediatric Practice: Neurology is your blueprint for improved medical management--and optimal outcomes--for your pediatric patients. Assistant Professor of Neurology and Pediatrics, University of Florida, Gainsville, FL Dr. Carney had subspeciality certification in Pediatric Neurology, Epilepsy, Sleep Disordes, CLinical Neurophysiology, and Pediatrics. He trained in Pediatrics at Case Western Reserve University Rainbow babies and Cildren's Hospital of Cleveland, and then recieved subspeciality training at the University of Michigan in Ann Arbour, Michigan. He is the author of Clinical Sleep Disorders and of the Atlas od Digital Polysomnography Neurology Consultants of Tuscaloosa, Tuscaloosa, AL Dr.Geyer is a private practice nerologist with subspecialty certification in neurophysiology, epilepsy and sleep disorders. He is Clinical Adjunct Professor at the University of Alabama, Tuscaloosa. He is the author of Neurology for the Boards, 3e, CLinical Sleep Disorders, and the Atlas of Digital Polysomnography.